Some of the older reviews and the Osaka ones I have published here over the last year, the newer ones will be published over the next couple of months. A couple of these will make my top ten films of the year! 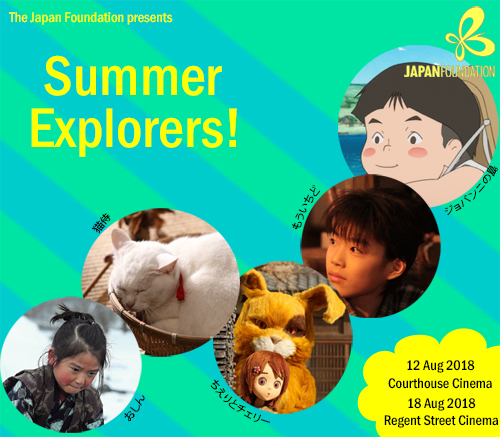 As for the UK, we get a lot of films screened for free by the Japan Foundation as part of their Pre-Summer Explorers and Summer Explorers run. Right, that’s enough of a catch-up with here, what’s released in Japanese cinemas this weekend? Here’s a brand new festival for North America that is totally dedicated to Japanese films. It’s called the BATSU FILM FESTIVAL and it runs from August 03rd to 05th at the Alamo Drafthouse in Denver Colorado. It’s aim is to go beyond the films of familiar names that tend to make the rounds on the festival circuit and get releases and expose the hidden talents in the Japanese film industry. With this mission, the festival programmer has dived into indie films as well as commercial features that weren’t given a wide distribution or shown outside of the bigger festivals to bring audiences in Denver a great selection of films all in one weekend in August. 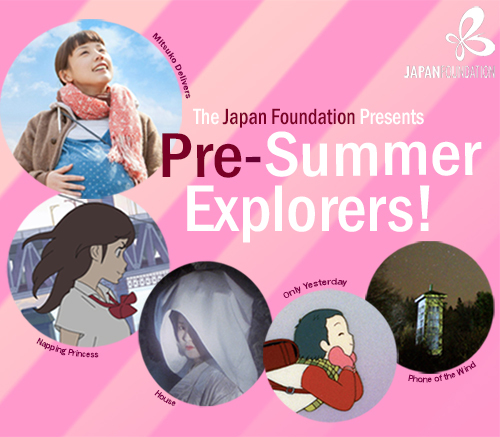 The Japan Foundation in London are putting on a series of free film screenings the first of which I posted about yesterday – Pre-Summer Explorers! – and this is the second series of screenings which has three films that aren’t screened in the UK all that often, or at all! Just click on the title to be taken through to the page to book tickets. This film will be screened twice on August 12th, 14:00 and 18:40. Synopsis: A, Edo Period drama focussing on the comic storytelling art of Rakugo, the story begins when Sadakichi (Nayuta Fukuzaki) returns home to take a holiday from his work after being bullied there. In order to cheer up their little son, his parents ask their gloomy looking neighbour, Taihei (Taihei Hayashiya), a former Rakugo storyteller, to give a performance for him. Sadakichi is deeply moved by his performance and hopes to become Taihei’s apprentice and learn the art. The Japan Foundation are running their Summer Explorers full of anime and live-action films that are set during the summer. This is a free event which you have to register for. I repeat, this is a free event. Free films!!! To find out more about it, visit the Japan Foundation’s website. The highlight, in my opinion. This film is a riot of fun and good music with a haunted house setting to die for as a bunch of girls will find out. 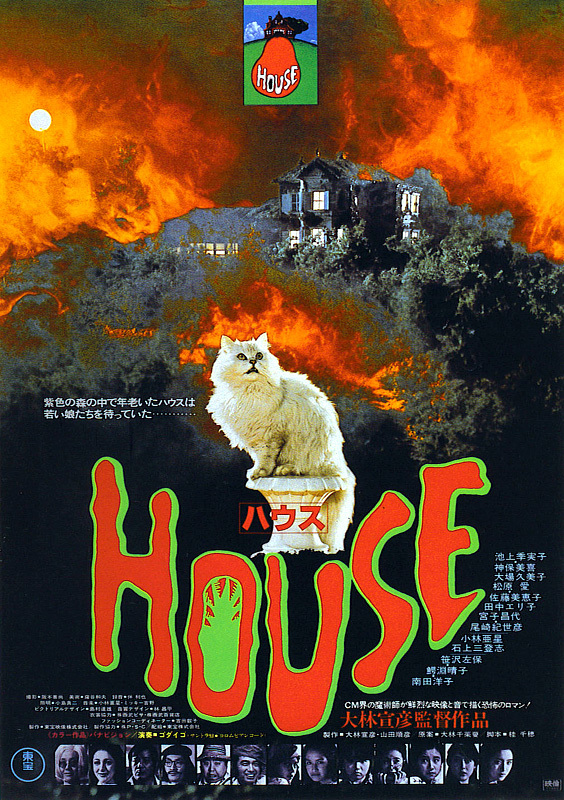 It comes from Nobuhiko Obayashi and his daughter and features so much imagination and flair for visual spectacle and cool music that it is a delight to watch. I highly recommend it. Here’s my review. Synopsis: The summer holidays have arrived and for seven high school girls named Melody, Prof, Sweetie, Kung-fu, Mac, Fantasy and Oshare (Kimiko Ikegami) they have the chance to go camping with their teacher Mr. Togo. Oshare declines because her father is back from Italy and she’s looking forward to staying at a villa with him. Her plans are ruined when he introduces her to his potential new wife. Oshare is upset at the presence of the woman and decides to visit an eccentric spinster aunt, inviting her friends along for the trip. After a long journey the girls arrive at the aunt’s house but find their presence has triggered a hostile force that immediately attacks them, picking them off one by one while the eccentric aunt watches. I hope everyone is feeling fine. 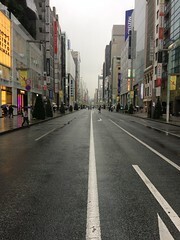 I’ve just finished a six-day working week at my regular job and I’m in the middle of film festival work for Kotatsu. I finished crafting PR stuff weeks ago but getting it set in motion is happening now. Since the last trailer post, I watched ten films and written about Third Window Films’ release of Suffering of Ninko, posted a review for The Path Leading to Love and posted an interview with the director of that film, Takayama Kohei. Kohei Takayama was born in Chiba prefecture in 1987. After graduating from Waseda University, he began making indie films such as Ni naru (2015) and Kudaranai kudaranai kono sekai (2016). He was at the Osaka Asian Film Festival to present the world premiere of his latest work, The Path Leading to Love (2018). The story is a downbeat tale of a talented manga artist wasting his skills thanks to alcohol. The main protagonist, Shosuke (Ippei Tanaka) lacks the ability to overcome his alcoholism even though it has ruined relationships with his family, his ex-girlfriend Sawako (Mika Dehara) and threatens his relationship with his current girlfriend Yasuko (Yumi Mukai). The story refuses to look away from the negative aspects of alcoholism and asks the audience to follow a man on his self-destructive path. What makes it a gripping watch is the powerful acting performances from the cast. Kohei Takayama kindly gave an interview on the penultimate day of the festival at the press centre. Acting as interpreter was Kayoko Nakanishi who was invaluable in helping the conversation flow smoothly and always offering nuanced interpretation of what turned into a philosophical conversation based on the intelligent and thoughtful work of Takayama. Alcohol addiction and writers go together like cookies and cream, or so it seems. The combination of self-destructive artist and liquid fire has been the subject of films like The Lost Weekend (1945), Leaving Las Vegas (1995) and works based on the life and novels of Charles Bukowski. The need to blot out reality comes from many sources and The Path Leading to Love is a quietly powerful film that shows how alcohol blights the life of someone too filled with doubt, cowardice, weakness, and selfishness to overcome it for the sake of others. The drunk is Shosuke (Ippei Tanaka). He could be a promising manga artist but he cannot even approach the foothills of creativity because his alcoholism pushes away his desire to work. It also pushed away his ex-girlfriend Sawako and threatens his relationship with his current partner, the loyal but lovelorn Yasuko. Third Window Films are having a cracking year releasing great films what with three Sono titles The Whispering Star/The Sion Sono and Antiporno and the Osamu Tezuka anime. Here’s a great title which I reviewed last year called Suffering of Ninko which will get released on July 23rd on Blu-ray and DVD. I hope everybody is doing well! Think about the people who live in the western part of Japan who have lost a lot due to the heavy rain and consider donating to relief efforts if you can spare the money. Times are tough so prayers and positive energy and raising awareness is also good. Here’s a link to Time Out which has a number of options. Good news came in the form of the boys and the coach rescued from the cave in Thailand. Well done rescuers and the people who supported them. As for me, I ducked out of some social engagements due to a physical injury I’ve had since last week Monday but I watched three films and got three film reviews done. I also watched Sicario II: Soldado in a cinema with my mother and sister and really enjoyed what turned out to be a thrilling film. Great performances from Josh Brolin and Benicio Del Toro and some hair-raising action scenes! I posted a preview of the awesome-looking Asian Film Festival Dallas which has lots of great Japanese films. I also posted an old interview from the Osaka Asian Film Festival (OAFF) involving Rina Tanaka and her cast and crew from her film, Filled with Steam. The Fantasia International Film Festival launched this week in Canada and it has some killer titles!